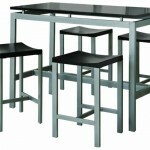 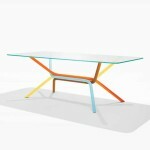 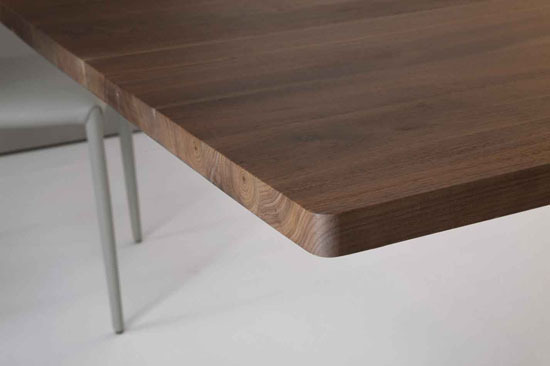 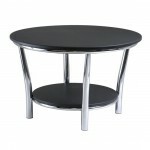 Bartoli Design has submitted their latest work for Bonaldo to HomeDosh, it’s OCTA Table. 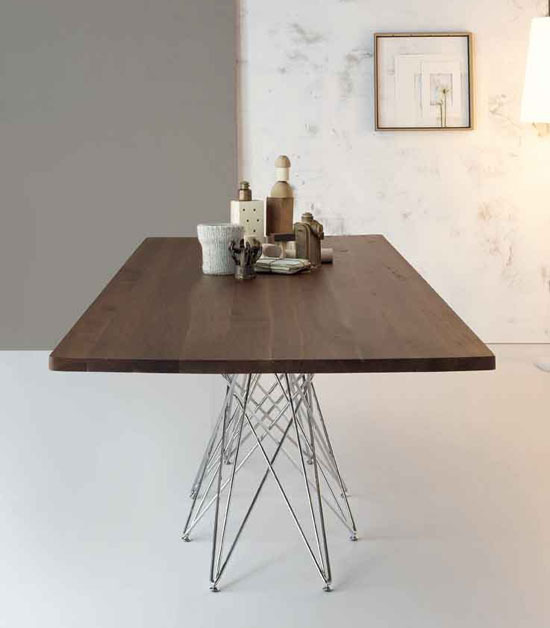 The name itself is derived from “Okta”, a Greek word, and “Octo”, a Latin word, as reference to the number of legs that make this table stand elegantly as your dining table. 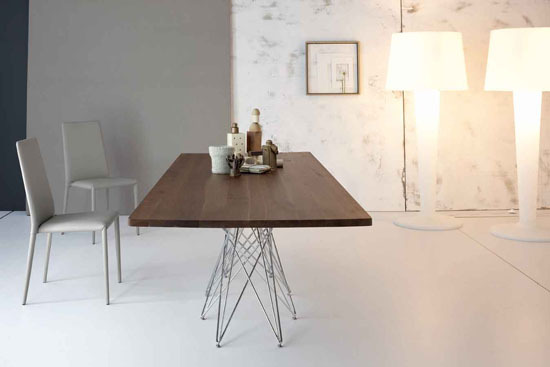 The idea to design a table with metal rod legs came when playing pick-up sticks, as you can see, those sticks represent ordered chaos, lightness, filigree, and many other characteristics which perfectly describe this table. 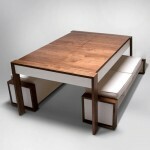 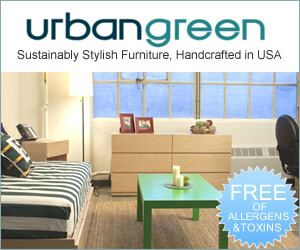 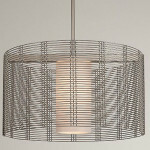 A furniture that desires to be elegant and unusual. 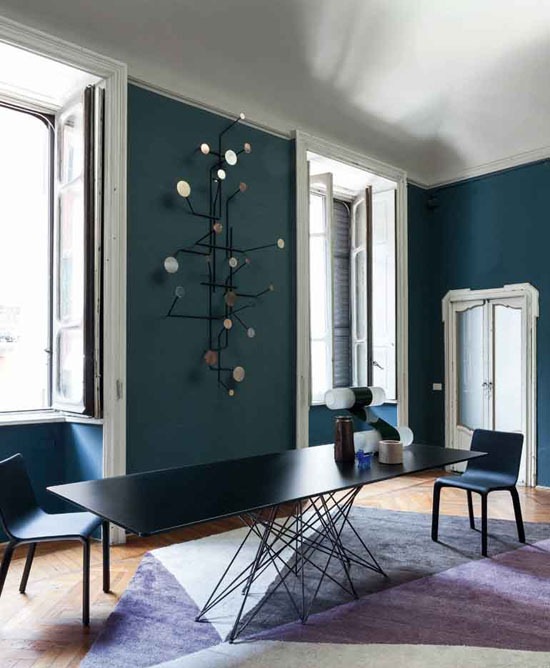 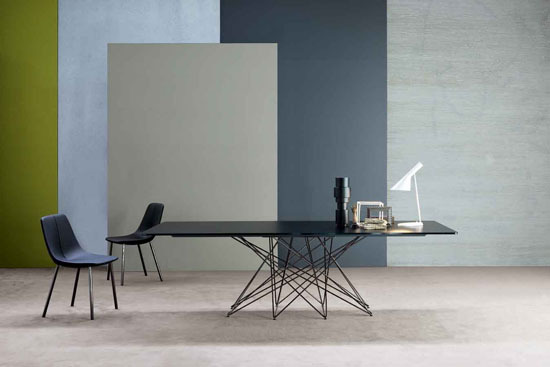 Bartoli Design uses ultra modern metal legs which are designed to be both light in appearance yet strong and stable to support the large wooden table. 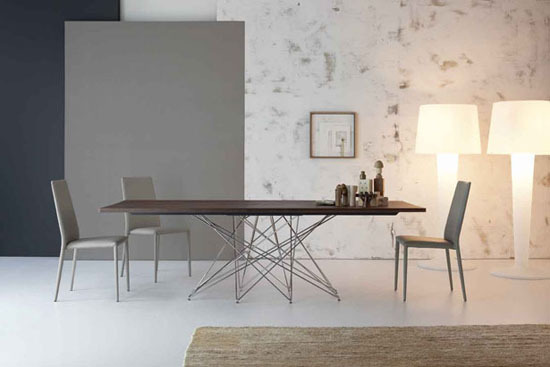 It’s available in 3 different sizes, from 200cm to 300cm, also available in matt white lacquer, matt anthracite grey lacquer, Canaletto walnut, solid American walnut or black/extra white acid treated glass, which is a finely frosted glass. 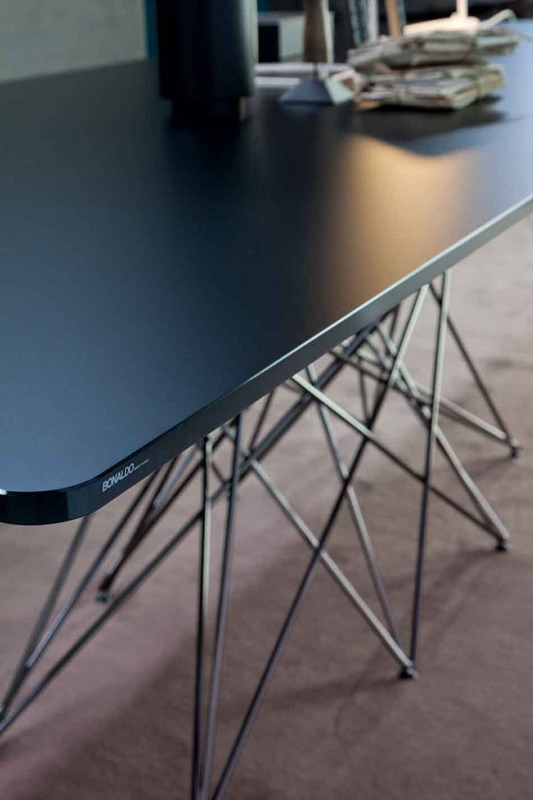 If you preferred, the steel base or the legs can be lacquered in anthracite grey or white, chromed or made in black nickel then combined it them with any top.